tammiestreasures' booth, featuring 1433 items, including Batman the Animated Series 12 Action Figure Storage Carry Case 1992 White Handle, Plush Green Hershey's Kiss Stuffed Toy , Harley Davidson Black Leather Classic Riding Biker Style Jacket Men’s XL USA, 2000 Mattel BRUSHABLE BEAUTIES WILLOW White Barbie Horse With Saddle, Barbie Dog Cat Pet Carrier Purse Bag Pink , Battat Pucci Pups Plush Toy Dog Carrier Bag Only Blue Hearts Pink, Coca Cola Mug Extra Bright Refreshment Enjoy Coca Cola Button 12 oz, Tender Treasures 10 to 15 Bear Western Outfit Chaps Vest Boots Cowboy, 2 Mary Engelbreit 80 Sheet Each SunFlower Pot Notepads New, Yankee Candle Strawberry Tea Light Candle Tray Plate, Fushia Spaghetti Strap Outfit Headband Fit 18 Doll American Girl Our Generation, Lenox Fine China Pierced Snowman Ornament, Vintage Barbie Friends Frances Skipper Doll Fashion Clothing Hangers Lot of 3, White Fur Stole and Muff Set Fits 18 Doll American Girl Our Generation, Tender Treasures 10 to 15 Bear Western Girls Outfit Vest Boots Cowboy Hat, Miniature Jumping Rabbit Porcelain Brown White, Purple Shorts Shirt Pink Soccer Bag Fits 18 Doll American Girl Our Generation, Wine Coaster & Stopper Santa Barbara Ceramic Design Cheese Plate Design NIB, Handmade Ceramic Pottery Picher Ivory Tan Blue Berries, ANDREA BY SADEK Vintage Porcelain Cat with Ball Trinket Box Lidded Blue White , Miniature Squirrel Porcelain Brown White, Vintage Barbie Pool Pieces Slide, Floating Tray Replacement , Heavy Duty Stainless Steel 5 Measuring Spoons 1 T, 2 tea, 1tea,1/2 tea, 1/4 tea , Apple Basket Quilt Single Switch Plate Light Cover Single Toggle. 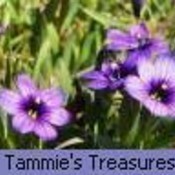 A notification has been sent to tammiestreasures about your wish to chat with them. If they are available, they should be around within 5-10 minutes.